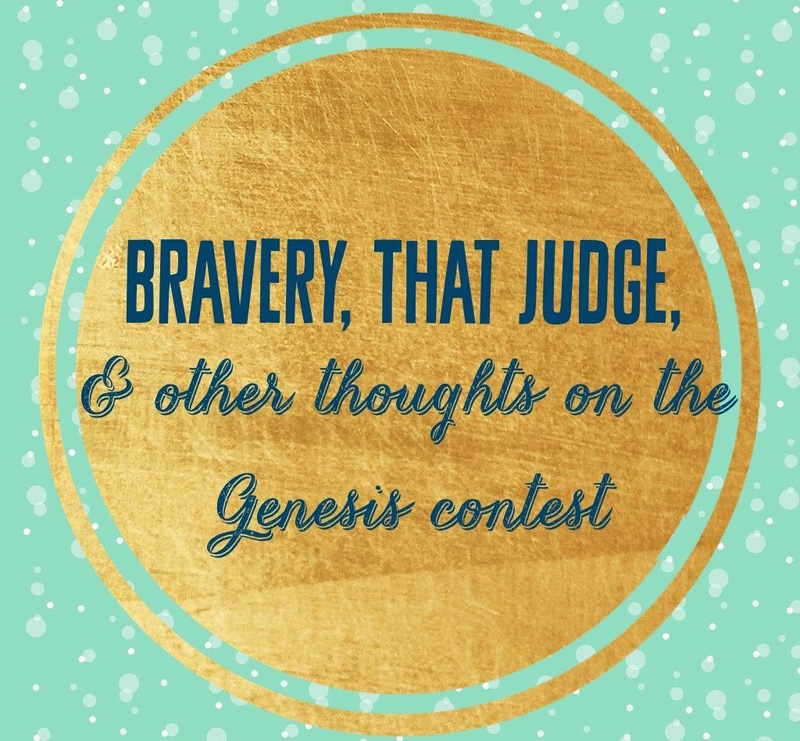 Are you on the fence about entering the first 15 pages of your finished manuscript in the Genesis contest? Let me give you a little perspective that may help you make your decision. I’m going to preface this post by admitting up front that my experience with the contest is beautiful and life-changing, but very unique. Yet I think that no matter what outcome you achieve, the benefits far outweigh the negatives. You get invaluable feedback on your finished manuscript. This is the chance for you to see what experienced writers have to say about your work. And the semifinal-round judges are published authors in your field who know what it takes to get the attention of an editor. Confession: before I entered for the first time in 2013, the only people who had seen it were my mom, husband, and a select group of friends. 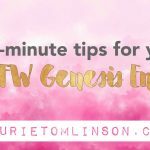 Having unbiased input from someone who isn’t your adoring critique partner can show you ways to add dimension to your work and accentuate your writing strengths. It helps you bond with others in the same stage of the publication process. Your fellow Genesis entrants know the roller coaster toil to The End that you battled and won; they’ve been elbow-deep in the same trenches you’ve wrestled through. When the first list of semifinalists came out, I friended some of them on Facebook, and that led to some of my most treasured friendships and writing partnerships to this day. If you final in the Genesis, you instantly get your work in front of agents and editors. The final round judges are all editors and agents. Even though I already had an agent last year, I had two inquire about my representation to the Contest Coordinator. Plus, if you attend conference, people see your semifinalist or finalist ribbons and take notice. 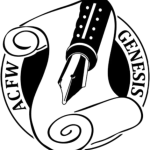 The agents and editors with which you have appointments may sit up in their chairs a little because they know that you entered the Genesis contest and are serious about your work. It’s hands-down a fantastic and attention-grabbing attribute in a query, one-sheet, or writing resume. Because even if you don’t place in the top 10, the bravery it takes to enter will launch infinite more acts of bravery in your writing. 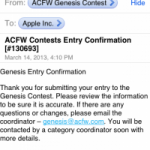 I maintain that pressing send on my Genesis contest entry was the bravest thing I’ve done to date in my writing journey. It’s the moment I can exactly pinpoint my mental shift from thinking of myself as a wannabe writer to believing in myself as a pre-published author. That alone is better than any plaque or scoresheet anyone can ever give you. Good luck to everyone, and know that I’m ridiculously proud of you!